Epic doesn’t stop at 360 video production, we also offer 360 degree photography services. This multimedia content allows customers to engage via a virtual tour. Gaining rapid popularity, see how live events, automotive, real estate, medical, legal and other industries are taking advantage of our 360 services. This online content is modern and helpful in expressing the big picture. Words can only say so much, so why not use advanced technology to take people to the very scene with us? 360 degree services invite customers right to your location. This aids to better product photography or explanations, as well as preventing product complaints or misunderstandings. Take a look at our very own virtual tour of our Scottsdale video production studio using 360 degree photography. Panorama simply offers a wider view of the shot, while 360 degree photography takes you behind the scenes and lets you view every side, angle, and corner of the scene. Our very own Senior Multimedia Producer, Michael Carter, speaks a little on the advancement on this photography service. Consider these three reasons to use 360 degree photography, just like us. These stats are based off Google’s study conducted on 360 media advertising. Just placing media on your website doesn’t cut it anymore. 360 degree media ads have 30% higher repeated view rates and produce 3x higher conversion and CTR rates. According to Google and their report, 360 degree ads result in a 70–300% increase in user engagement. Google was so impressed by these numbers that they considered their 360 degree media an efficient investment. Google’s report also revealed that their 360 media ads cost-per-view was lower than traditional ads, even with their organic and paid views combined. There are so many industries and businesses that would benefit and excel from the use of our 360 degree photography services. Have conference space you need to show but limited on time, 360º pano-tour can sell the space for you. Give confidence to car buyers by displaying photos of the car with access to every side, angle and corner. Make the house purchasing process easier with better displays of each house and its surrounding area. Help others to understand medical facilities, equipment, services or concepts. Offer a 360 degree shot of the courtroom, crime scene, or any images of evidence. Check out more of our 360 degree work! GAF called on Epic to create an informative and unique way to explain their products. 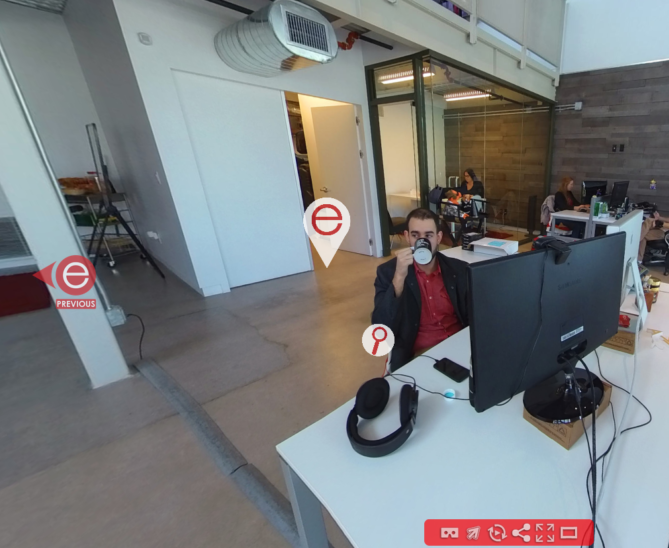 This 360 panotour shows their equipment, processes and work space. 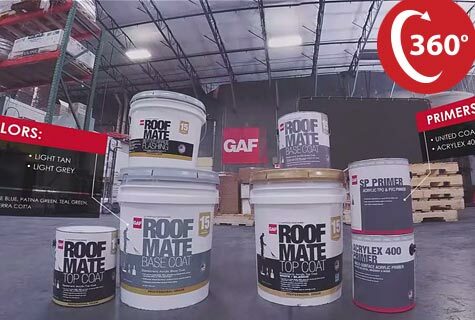 Just like our own office VR tour, GAF gives customers the freedom to control their own experience. 360 degree services are the ultimate choose-your-adventure tool. So get a quote today! 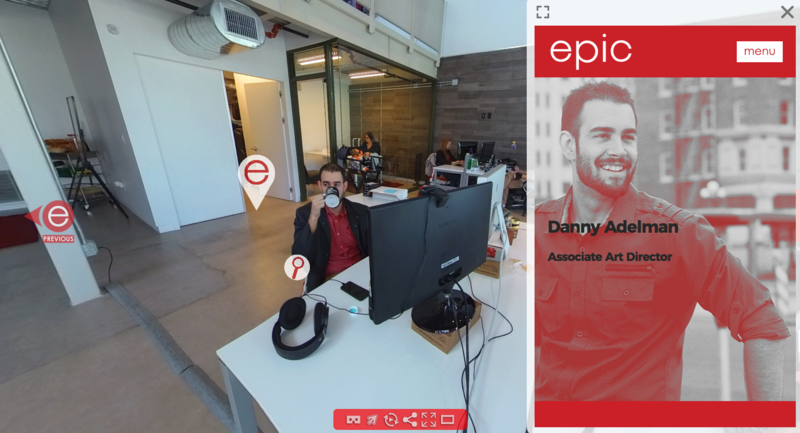 Epic’s incredible design team and top notch gear will give you the perfect 360 shot every time.